BKS provides a high-quality toddler and preschool educational program with three or more teachers in every classroom and the research-based Creative Curriculum as the foundation for learning and exploration. 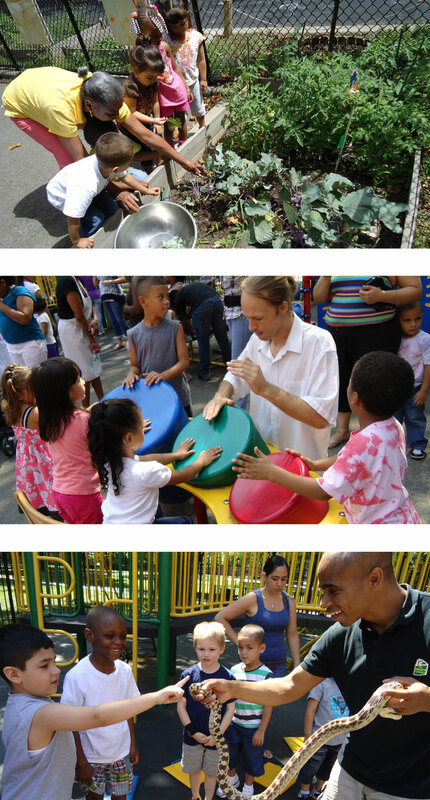 Varied materials and play areas allow children to engage actively in literacy, art, music, science, and math. Our classrooms are filled with print-rich environments for children to see and use written language — including books, computers, cozy reading areas, and well-stocked writing centers. Early language and literacy development is a key component of the BKS curriculum. Teachers spend time each day having extended conversations with our children. We focus on teaching essential skills which are fostered by conversation, collaboration, and curiosity. Our goal is to allow children to learn about things that interest them in their own way. A strong social-emotional curriculum is a fundamental component of our preschool/toddler program. Teachers value and support children’s ideas and feelings, so throughout the year, teachers lead students through activities to develop group trust, self-awareness, positive communication, and conflict resolution. Each child is encouraged to trust his or her teachers and peers while at the same time becoming self-reliant and autonomous. Enrichment activities include chess, the visual arts, music, dance, drama, horseback riding, soccer, mindful life yoga, and field trips. These activities are an integral part of the learning experience, expand a child’s worldview, and play a vital role in developing cognitive, interpersonal, and strategic skills.